Select Save, and save it to your desktop or some other place on your computer. After it completes downloading, unzip it by clicking on it. Install after unzipping by clicking on the Setup.exe file. 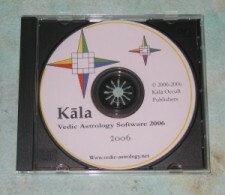 This Jyotish software demo allows you to view one preloaded chart, with which you can explore all the features available in Kala.